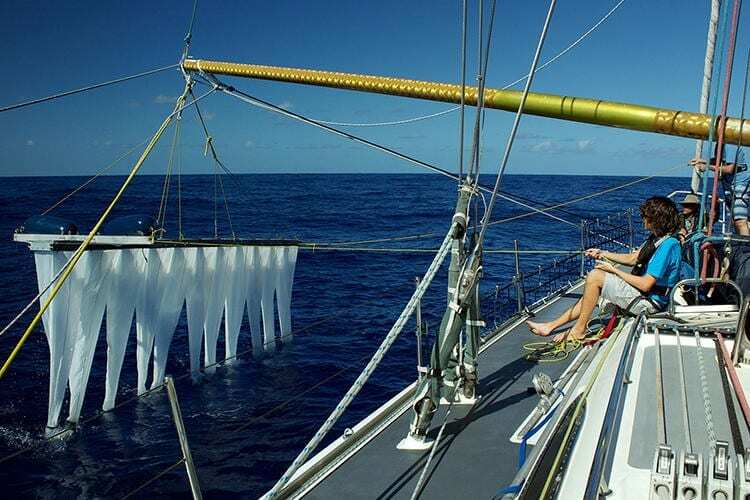 Home Ocean Plastic Could This Gigantic Ocean Plastic Clean-Up Machine Actually Pick Up Our Ocean Trash? Could This Gigantic Ocean Plastic Clean-Up Machine Actually Pick Up Our Ocean Trash? An outlandish idea, floated by a 17-year-old two years ago, now has funding, a 530-page feasibility study, and the backing of 15 institutions. Next step: Actually picking up some trash. Two years ago, when Boyan Slat first proposed his giant ocean clean-up device, it didn’t seem likely he would actually pull it off. The idea was intriguing, to be sure. But Slat was only 17 at the time and still in high school, and what he was suggesting was outlandish: a floating array spanning many miles and capable of sucking up tons of trash every year. With the best will in the world, it didn’t seem like a teenager would have the experience, resources, or persistence to make the idea a reality. Fast forward to June 2014 and things seem quite different. Slat doesn’t yet have a working machine, but he has made a lot of progress. His Ocean Cleanup project has produced a 530-page feasibility study covering technology, legal issues, and financing. It’s gathered a management team and plenty of volunteers. It’s got the backing of 15 institutions, including universities and engineering groups. And it’s raised money: an initial crowd-funding campaign, in April 2013, brought in $80,000 in 15 days. It’s all mighty impressive.